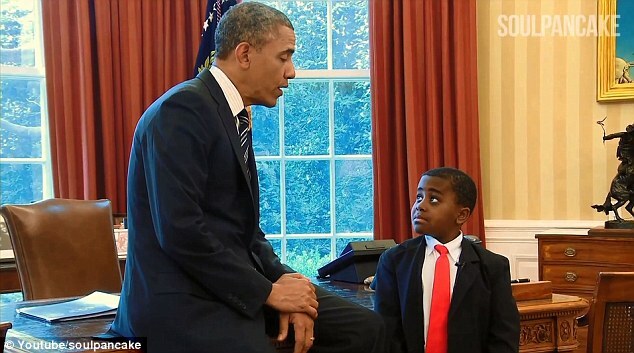 You Are Here: Home » Entertainment » Kid President Lands His Own TV Show! Kid President Lands His Own TV Show! The 10-episode, 30-minute program will begin in June and be produced by the SoulPancake television company, which is owned by actor Rainn Wilson. According to Wilson, “Kid president is about getting kids and grown-ups to work together. This show is an amazing blend of humor and heart,” Wilson enthused as he chatted with USA Today. The Kid President series began in July of 2012 via YouTube videos. Wilson, along with fellow executive producer and brother-in-law Brad Montague, wanted to give children an even bigger voice. The video that first put the pair’s names on favorable blast debuted this past January. “A Pep Talk from the Kid President to You” resulted in page views of more than 32 million YouTube viewers. 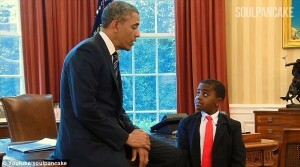 The Hub Network show will feature Kid President interviewing folks from all walks of life. In the past, the precocious 10-year-old boy has interviewed Beyoncé, actor Steve Carell, and even Mr. President himself, Barack Obama. The series will reportedly be filmed at two locations: Nashville and Los Angeles.